Briggs Fest Comes to Lawn on D this Weekend!! Looking for something to do this weekend? 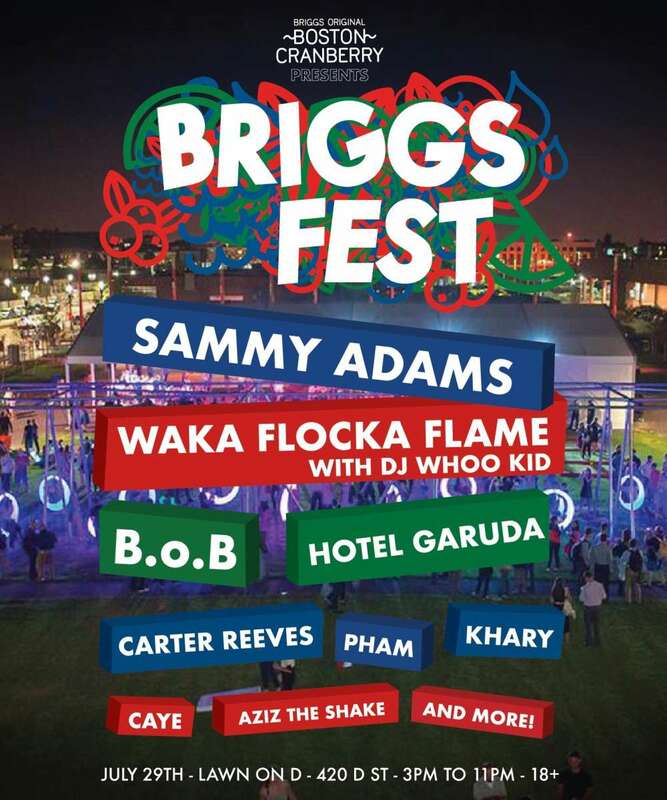 Check out Boston’s first annual Briggs Fest! Located on the “Lawn on D,” Briggs Fest is the place to be this Saturday, July 29th. Get out and see Boston’s very own Sammy Adams as well as Waka Flocka Flame, B.o.B, and more! This unique festival is brought to you by the equally unique Briggs Original Boston Cranberry, the only spiked seltzer made with real fruit. Hit up the Lawn on D this weekend, crack open a Briggs, and experience one of Boston’s biggest festivals of the summer. This will be a show you won’t want to miss, and hopefully it becomes an annual summer tradition in Boston. The event is 18+. Doors open at 2pm on Saturday and the show is from 3pm-11pm.